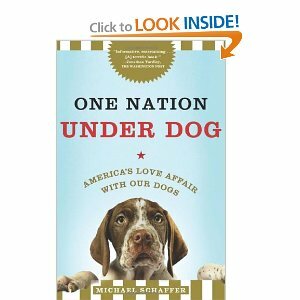 The first book I'm reading is One Nation Under Dog: America's Love Affair With Our Dogs. The subtitle is "Adventures in the New World of Prozac-Popping Puppies, Dog-Park Politics, and Organic Pet Food." What a mouth full! The book highlights the changes in America's attitudes towards their pets over the last few decades. It discusses everything from the $43 billion pet supply industry (yes, that was billion with a B -- I'm in the wrong business!) to the way dog-related laws are being changed around the country. The book is interesting, but I'm not sure if I'm enjoying it -- which is probably why it's taking me so long to finish it. A few months back HBO aired a documentary with the same name. I'm not sure if I liked that or not either. Truth is, sometimes animal people are weird, and I'm not entirely comfortable being one of "them." I know, TMI. 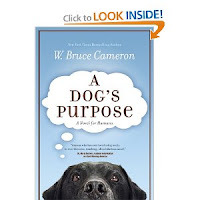 I'm also reading A Dog's Purpose by W. Bruce Cameron. This is a fictional story about a dog that keeps getting reincarnated in search of his true purpose. 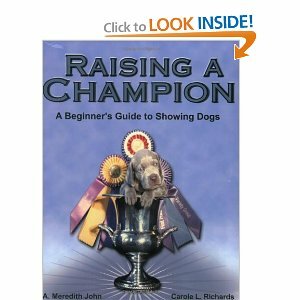 Breeder loved this book and really wanted me to read it. Currently I'm on the second incarnation and I am crying my eyes out. 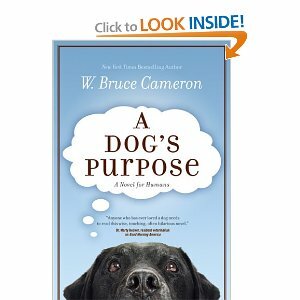 It's written from the dog's point of view and is very entertaining -- but definitely NOT recommended for anyone who is "a bit hormonal." I feel horrible now for yelling at Pepper all those years over her getting in the trash. And I swear, if the story doesn't get happier soon I'm going to send Breeder a nasty e-mail and a bill for the box of Kleenex! German Shepherd Dogs are posed differently from any other breed. Posing a German Shepherd isn't covered in this book.